The 23-year-old broke his hand in Tuesday’s first-leg victory over City and played no part against Huddersfield on Saturday. 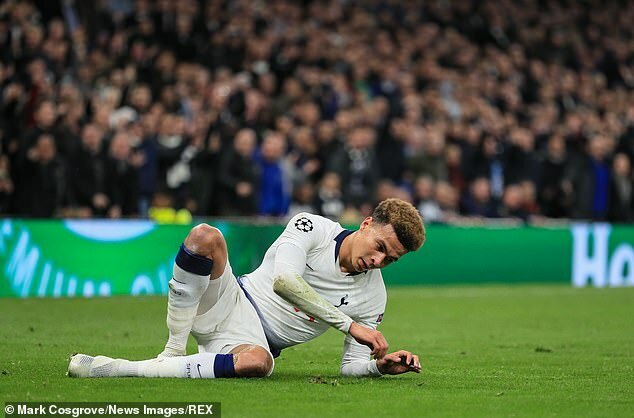 Tottenham were initially hopeful that Alli could still play despite his injury with medics set to explore ways of ensuring his availability for the return leg at the Etihad. However, Pochettino has admitted the midfielder could still miss out. ‘We are not sure on Dele,’ he said after their 4-0 drubbing of Huddersfield. 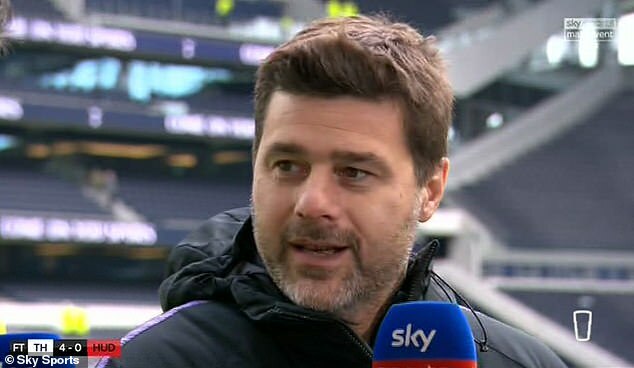 Spurs boss Pochettino heaped praise on Moura after game, saying: ‘Today we saw him step up when there was no Kane or Alli. Sportsmail columnist Jamie Redknapp however believes the forward could still be left out of Wednesday’s clash despite his man-of-the-match performance. 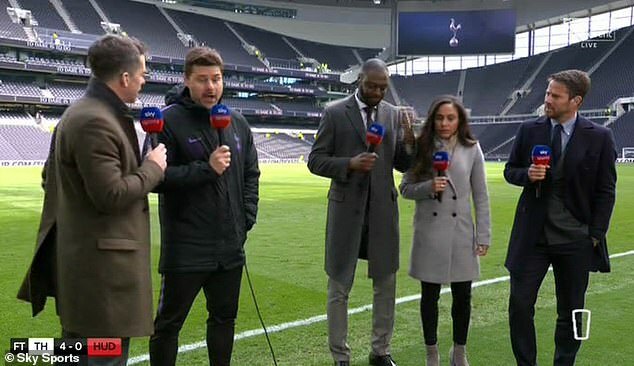 ‘Absolutely you can still leave him out,’ Redknapp told Sky Sports.